Description: A curious illusion rendered by a luminance conundrum. 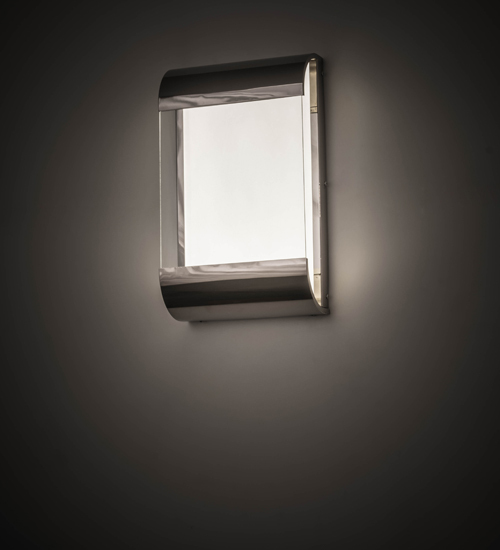 The unique Limoux Wall Sconce features a Clear Glass frontal lens that reveals a Contrail Mist Idalight diffuser, illuminated beautifully with integral, energy efficient LEDs embedded in the backplate. The wall fixture is enhanced with a unique frame and hardware in a Polished Nickel finish. Handcrafted in the USA by artisans in our 180,000 square foot manufacturing facility in Yorkville, New York, this handsome luminaire is offered in custom styles, colors and sizes are available. Energy efficient lamping options such as LED are available. The fixture is UL and cUL listed for dry, damp and wet locations.